Who doesn’t love pie? Especially mini-pies? Or anything mini? They seem so much healthier right? Mini decadent desserts? 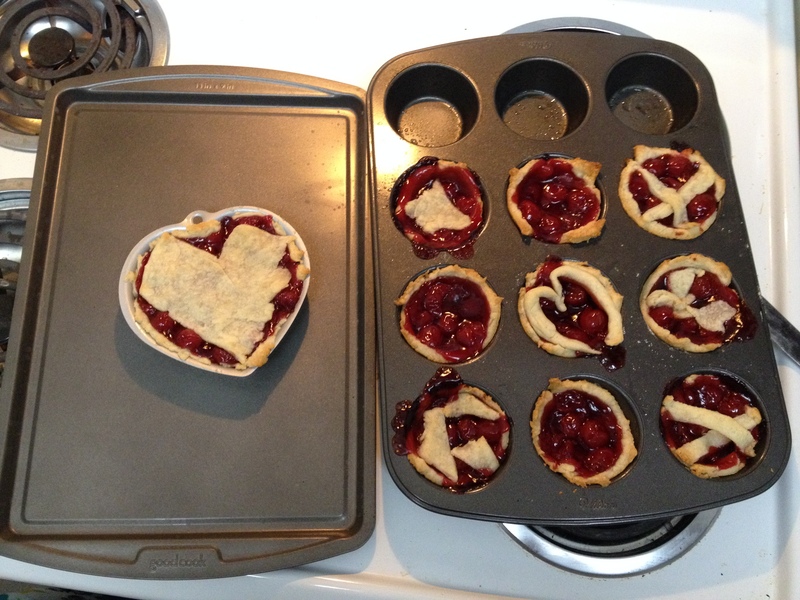 Well, since Valentines Day is right around the corner, not that I have a valentine, I decided to make these 2 Ingredient Mini Cherry Pies to enjoy a little sweetness instead of making any bad decisions at the store. So the big intention of these min- pies is for my coworker, it is her birthday a few days before V Day and I always bake for my coworkers. Luckily there are not many people in my office. The other was that I am doing very well with my eating, but I wanted to give myself permission to enjoy the first sweet holiday of the year. 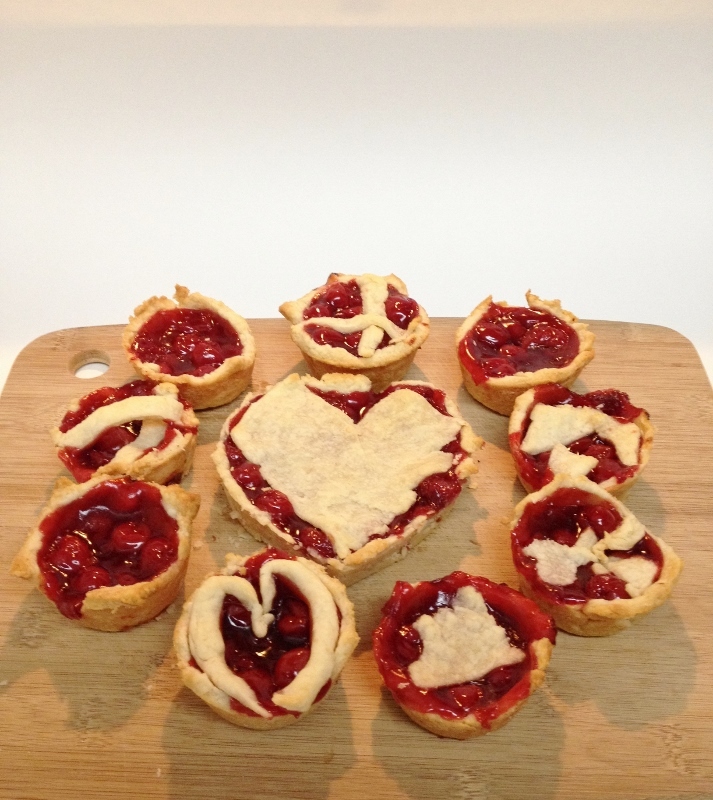 These little pies are not by any means healthy or even a little bit good for you, and may not even be vegan. But by making these and taking them to work, I am not allowing myself to gorge on them, but enjoy one mini-pie and being okay with that! 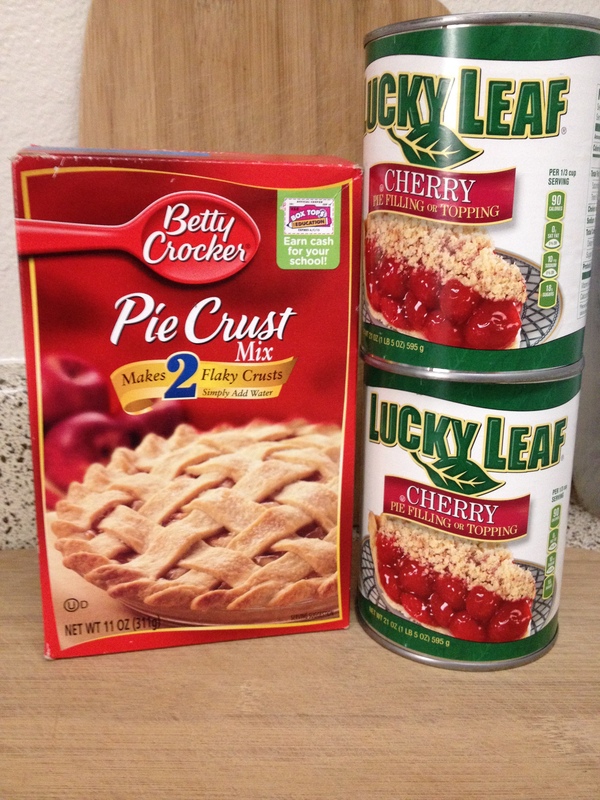 The two ingredients are one box of Betty Crocker Pie Crust mix two cans Lucky Leaf Cherry Pie Filling. 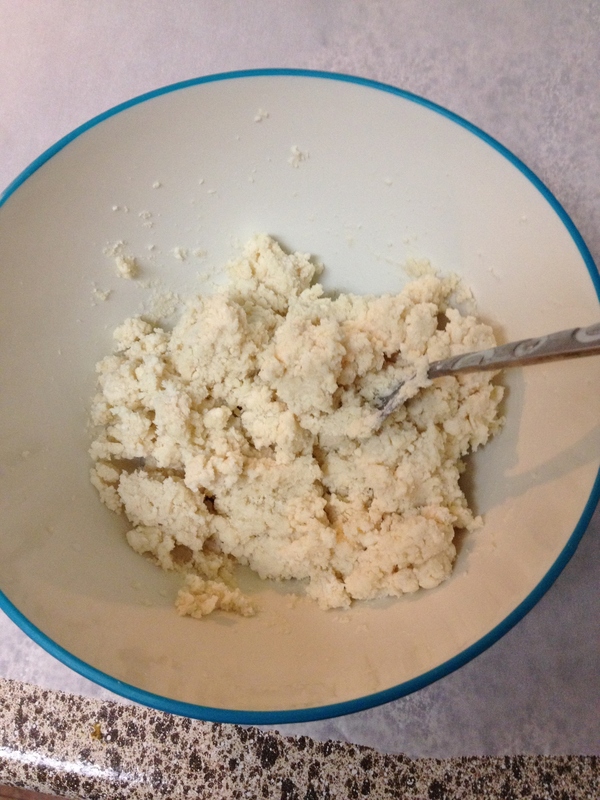 The pie crust just uses 1/3 cup of water. Want to add a little more flavor? Add some spice to the crust, cinnamon to the cherry filling. Luckily, the filling is so super-sweet that you don’t need much of anything else. My coworkers really enjoyed the mini’s and I got my sweets craving satisfied. Pour the water onto dry mix and blend well with a fork. 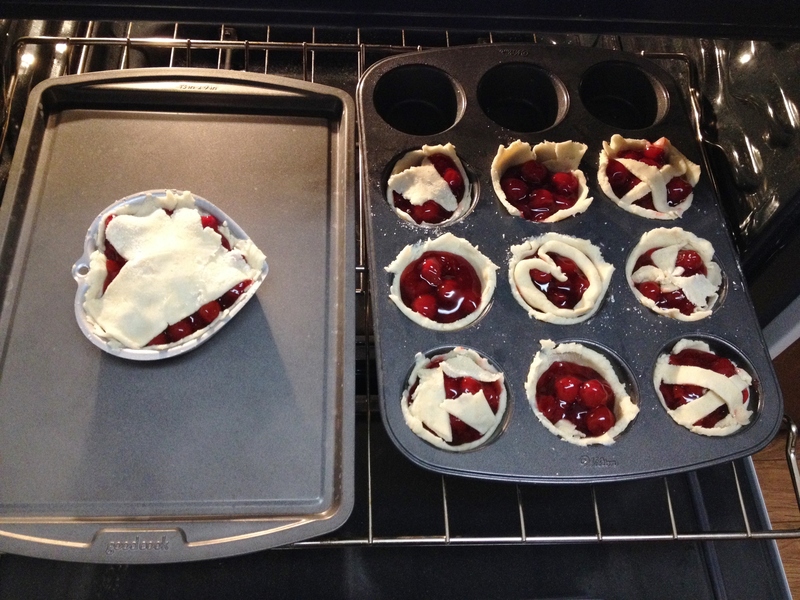 Lay out parchment paper on the counter and sprinkle with flour and spray muffin tins with non-stick spray. 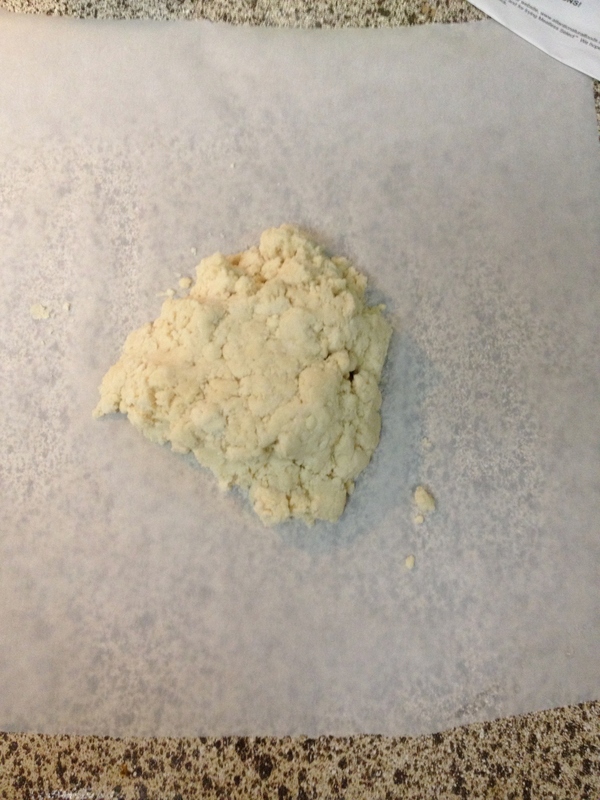 Pour batter onto parchment paper and using a floured rolling pin roll out flat and thin. Keep tossing flour on dough. I didn’t get as much dough as I thought I would, but using a knife I cut out rounds and pressed into each tin. Just eyeball it, no need to be perfect. Ball up extras and roll back out and cut out more rounds. Use the little extra bits by rolling out hearts or cutting strips for the tops. Bake at 450 degrees for 20ish minutes. Let cool slightly then use a knife to wiggle out the mini’s. So easy. That was the best part! Thanks! So easy to make – two ingredients, that’s a first for me!